Armstrongs Accountants has been named Midlands Independent Firm of the Year at the annual British Accountancy Awards. 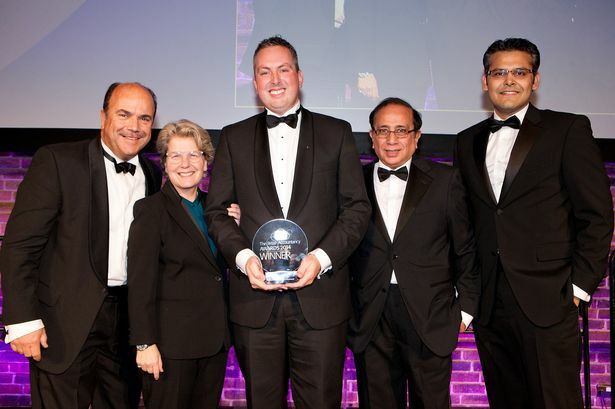 The winners were announced at a gala dinner held at The Brewery venue in London. Armstrongs director Paul Farmer was also a finalist for the UK Practitioner of the Year award. Mr Farmer recently helped achieve a £35 million deal for Coventry-based sports nutrition brand Grenade, after working with Grenade’s owners for a decade. He was short-listed for his leadership and his contribution to Armstrongs and its clients, but also for fundraising activities and support services to the community. Mr Farmer said: ‘We are thrilled to receive this major industry accolade for the our region and it is a great testament to the commitment and passion of our team in delivering exceptional service to our client base right across the Midlands. Armstrongs is expanding its operations to North Warwickshire and Leicestershire having recently recruited five new staff at its Nuneaton office. The office opened in June this year complementing its Coventry headquarters.